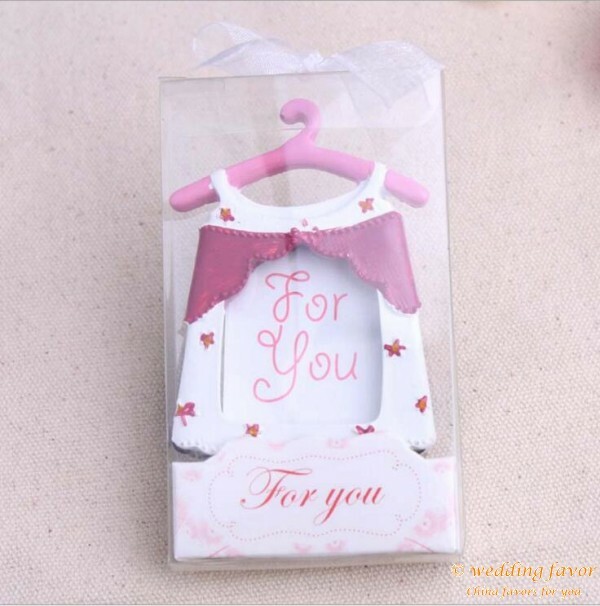 Looking for an adorable baby themed favor that celebrates a bouncing baby boy(girl)? Well this is the one! Ask any new parent and they'll tell you that the jumper is one piece of baby clothes that they can't live without. 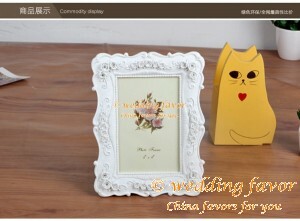 And this cute baby themed photo frame favor makes the most of this tiny fashion statement! 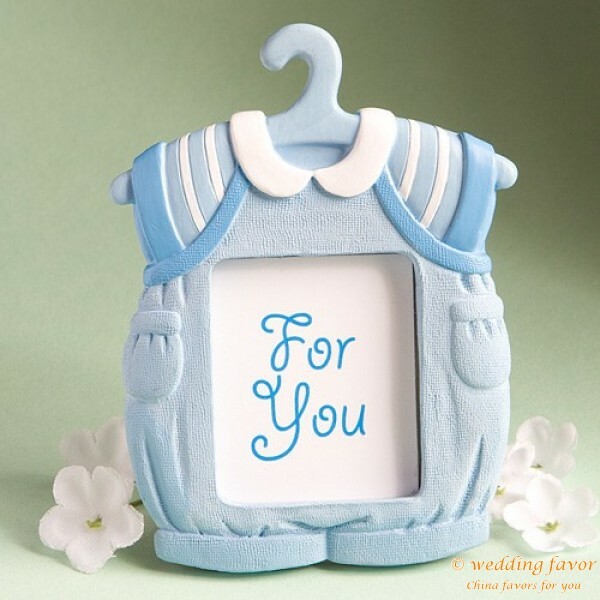 A China Wedding Favor Mall exclusive, each one frame measures 2.75" x 3.75" and is made of detailed blue and white poly resin in the shape of a jumper with a hinge-backed photo window at its center designed to hold a 2" x 1.5" baby photo or an event day place card. 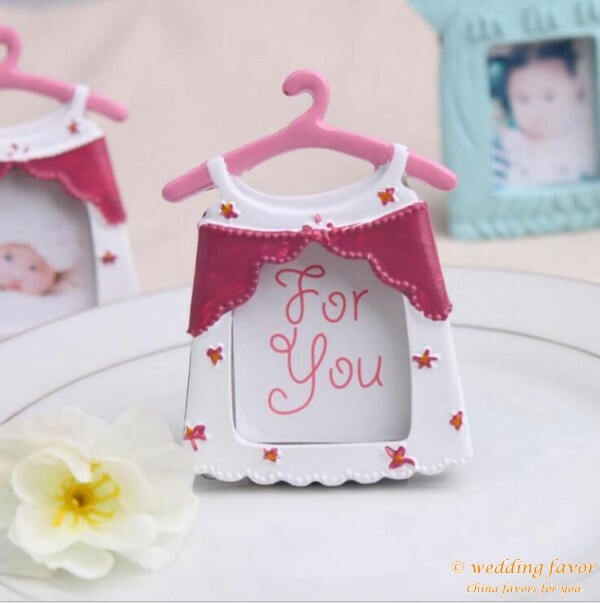 Great as baby shower favors or to send with your baby announcements, each comes packaged in a white box with a blue and white "For You" message in the frame. 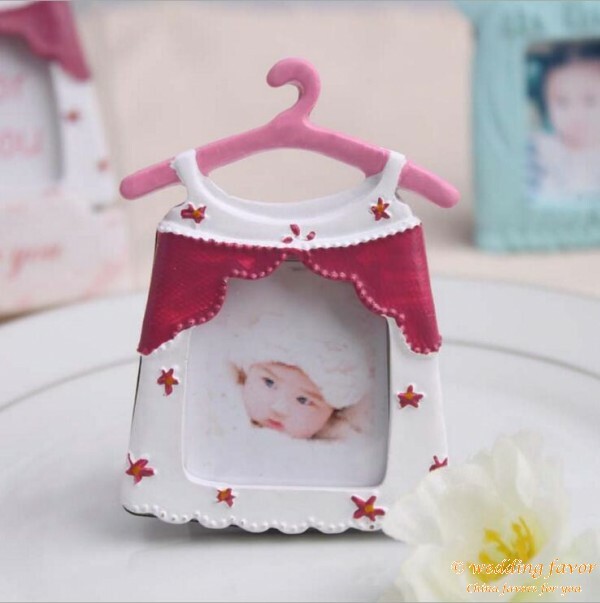 Baby clothes design photo frame , Keep the best memories of your baby. 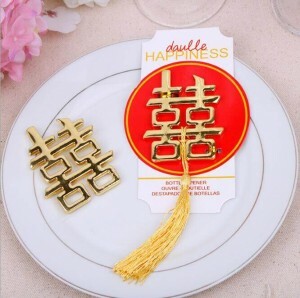 This is also a wonderful favor for a new couple.